Purpleline Nemesis Ultra High Security Wheel Clamp - Ultra Secure - Ultra Lightweight. The unique feature of the patented design Nemesis Ultra is that the clamp locks to a universal wheel bolt and the clamp itself goes through the wheel as opposed to around it (as with a traditional wheel clamp). This means all the parts that a thief would try to cut through are either in the wheel or behind the wheel, making removal almost impossible. 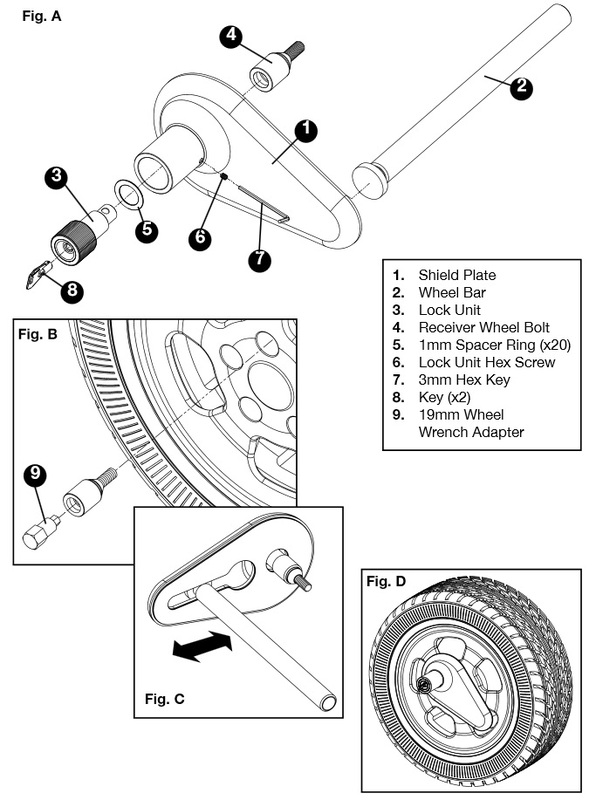 On rotation of the wheel a steel bar will foul with the suspension or the chassis of the caravan, stopping the caravan dead. Incorporating a British Made anti-pick 9 pin Lowe & Fletcher Lock.